MRSA is one of the more well-known bacterial problems that occurs every school year. This nasty skin disease spreads quickly through direct and indirect contact. Whether flu, pink eye, shigella, streptococcus, or even tuberculosis; our system provides a hospital grade, environmentally-safe sanitizing program that will treat every surface. H1N1, HIV, CRE, Norovirus are also known health threats that should not be ignored. Superbug problems are drug-resistant microbes that are most effectively treated BEFORE they have a chance to spread. We follow with a highly-effective antimicrobial surface treatment that will provide a germ fighting coating on all surfaces for three months after application. The difference in the EHS program is that we treat the immediate problem, but we also treat the potential of reinfection as students, staff, workers, or patrons return after treatment. Our program includes Peroxy Shield sanitizer as step one, and BioZone Protectant as step two. 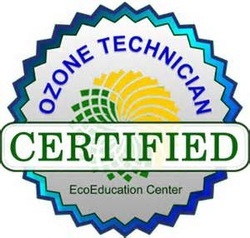 Both are EPA registered products that are also environmentally safe. Yet, Peroxy Shield is able to kill difficult threats like C Diff and C Diff spores in just two minutes after application. This program is safe for schools, day care facilities, gyms, workout centers, hotels, apartments, and offices. In most cases, the treatment can be fully implemented in 4-8 hours depending on the size of the facility. Our process is more affordable than traditional hand scrubbing with chlorine products since it takes less labor and lasts for a longer period than other systems. The sanitizing program is amazingly effective and can provide germ inhibiting protection that lasts three months of more. Our "Flu Season Program" offers a twice a year routine that is intended to mitigate the potential for flu, cold, and other infectious diseases. We provide a data logging program after treatment to demonstrate and verify the effectiveness of our sanitizing program. This weekly or monthly report assures our customers of the Best Practices in infection control and provides a written record of a proactive program to resolve serious health issues.